Although the inimitable percussionist Marilyn Mazur made her name with groups Palle Mikkelborg and Miles Davis she was launched in to the spotlight and in a class of her own by the young producer associated with ECM – especially the now iconic Keith Jarrett production The Koln Concert – Vera Brandes who produced her solo debut Future Song (veraBra, 1990). With the monumental 2019 recording Shamania Miss Mazur stands alone on a don’t-touch-me pinnacle; a percussionist who with sticks, brushes, mallets and sheer force of will commands an ocean of music worthy of Nyambi; the Great God of Everything, or Shango god of thunder, storm, war and magic. 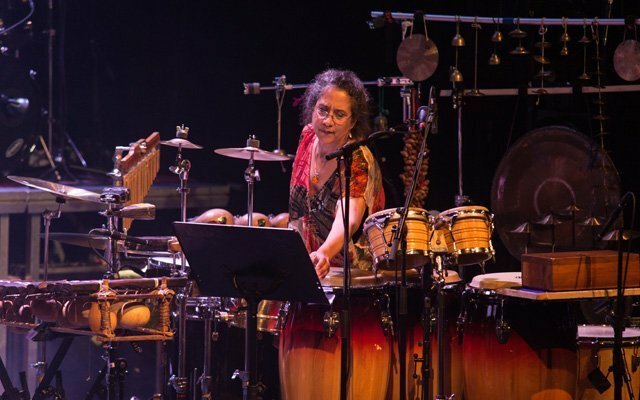 Certainly this monumental recording which she orchestrates from behind a great barrage of percussion instruments large and very small proves that she has inherited the mantle from the legendary Afro-Brasilian percussion giant Nana Vasconcelos. But with her long sojourn across from Mother Africa through the Norse world of the Vikings and Goths Miss Mazur come to reincarnate her music with a new world view collecting everything that palpitates and reverberates inside heart and mind under the great idiomatic tent, the Shamania where it plays out like some prescient depiction of the existential Force of Nature. 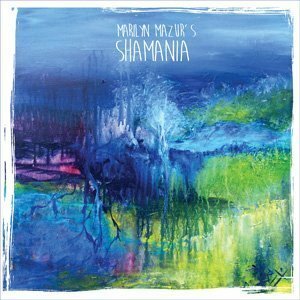 Mixing brass and woodwinds with goat horn, kalimba, balaphone and a battery of percussion including the Jazz drumset together with keyboards and electronics Miss Mazur beckons listeners into a world where all of humanity and the art that ensues, as a fortuitous result, collide. Marshalling her all-women band with sublime authority and subtle gentility, Miss Mazur invites listeners to be present at the proverbial dawn of all sound – with her percussion and Hildegunn Øiseth’s goat horn and with the viscerally exciting wordless vocalastics led by Josefine Cronholm and Sissel Vera Pettersen – through meditative pieces such as “Rytmeritual”, “Old Melody” and “Shabalasa” that beguiles and is evocative of the quintessence of the fifth element of ether and into the “Surrealistic Adventure” reminiscent of the Heliocentric worlds of Sun-Ra before we touchdown – as if in the aftermath of a 2001-A Space Odyssey journey beyond the infinite on “Space Entry Dance”. All of this takes place right here on earth, of course and to create the magical other-worldly adventure Miss Mazur and her powerhouse women create mighty musical atmospherics featuring astounding tone and colour turning each section of each piece into a seductively habitable sound world. The women – all named below and credited with individual soli perform on this extraordinary recording displaying nervy gestures and tricky-to-balance textures which are at once subsumed into a cumulative sweep in this monumental recording under Miss Mazur’s inspirational direction no less. 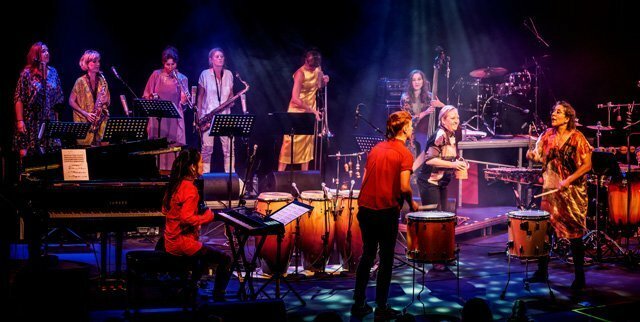 Miss Mazur’s expert percussion colourings are done with a light organic touch that sits elegantly with the performance on each instrument by the rest of the ensemble making Shamania a miraculous recording if ever there was one by the great Jan Erik Kongshaug.